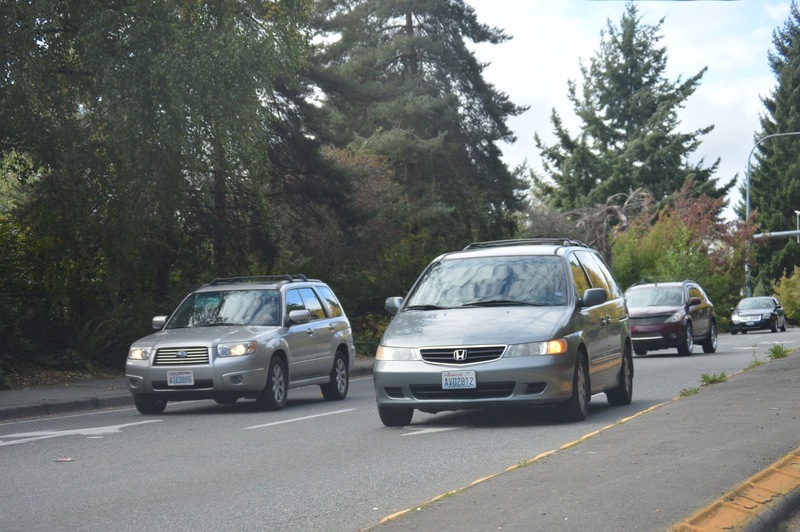 ESTRA (Seattle) - The Middle Aged and Seniors often take longer to recover from being involved in Car Accidents. A large portion of these populations also live from paycheck to paycheck, with few resources to overcome the obstacles of personal injury, damaged vehicles, and resources to hold off financial woes. Short-Term Disabilities most Middle Aged and Seniors can get through hard times. Yet the worries of figuring out how to get through Auto Insurance Claims, Medical Co-Pays, and paying Monthly Bills add to recovery time because of increased stress levels without a Recovery Plan. Daily stress is often too high in life with few resources to quickly terminate concerns. Middle Aged Injured often support family members in conjunction to self. This often keep people up at night which adds to physical suffering. If you know someone who has been injured in a car wreck who is Middle Aged or Senior, simple help can ease their burden and help to keep them moving forward instead of backwards. Seniors assistance with errands helps reduce daily requirements. If going to the grocery store anyway, ask if there are things you can pick up for them. Make a simple list with them by allowing 5 -10 minutes to write needed items. Once help begins, it will become easier to have an idea of what is used on a regular basis. Try to purchase items which will not require a lot work, since this creates greater hardships when injured. In whatever ways you decide to assist, make sure it doesn't add major burdens on you, this would defeat the purpose. This should be a rewarding experience for both of you. Middle Aged Injured support tend to be about responsibilities around their home. Helping to keep things organize or running smoothly helps to keep stress off these individuals. It may be as simple as shifting duties to others in the household and showing them how to do something they can take over until injured person has recovered enough to provide help. The key is not to become overwhelmed and attempt to take on too much. Have a plan of what you can and cannot help with each week or month. In fact, a group of helpers is best in both of these cases. Personalities must be comfortable with each other, or this support defeats the purpose. No one knows when needing assistance after a car accident. This person may be one of the first people to come to your aid. Your thoughtfulness will be appreciated! 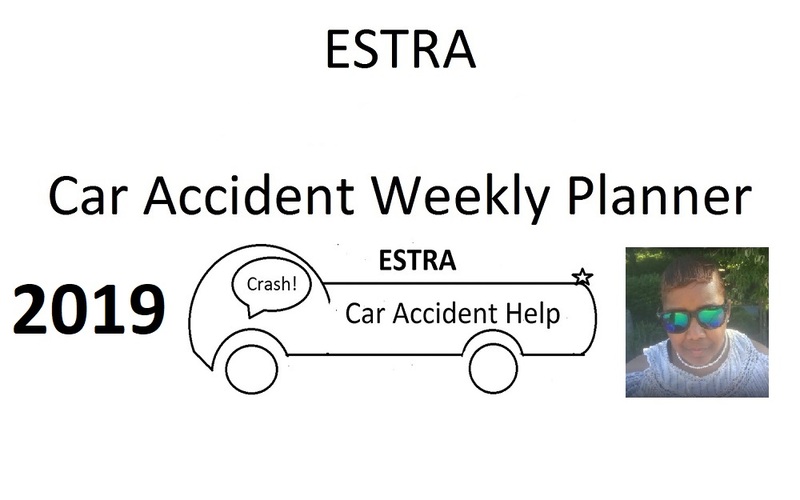 Each year ESTRA Car Accident Weekly Planner gets better for you. 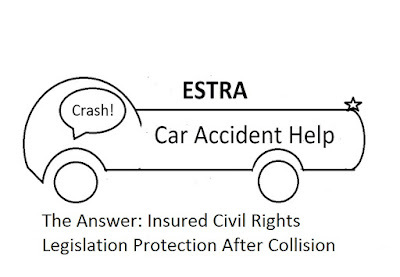 ESTRA (Seattle) - "Being Car Accident Ready" means the unexpected doesn't take you off guard without a path to restore your way. Trauma often slows down life, making it difficult to start up again. Yet, if there is support and advocacy, hope restores dreams of life improvements. 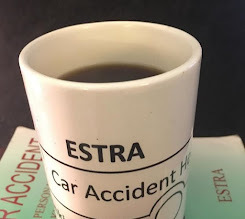 ESTRA Car Accident Weekly Planner places common experiences faced after collision and situations typically endured afterwards. From Medical Information, Appointments, Daily Planning, Budgeting, To Do Lists, Journal/Notes for documentations. This 2019 Calendar has lots of open space for personal notes, and provides unique design to make it yours, giving the best use from each section to accomplish goals and stay organize. 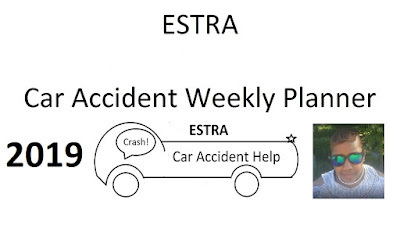 ESTRA Car Accident Weekly Planner is available most of the year because you never know when a car wreck will happen. Once you've had an opportunity to use one, it's difficult to switch because planner provides the opportunity to write things your way, which brings comfort when having to address hard times. Seattle (ESTRA) - No one expects to become a target. Ask Paul Manafort or Micheal Cohen five years ago if they would not have thought this day would come, when they would be targets of an investigation for the world to see. We cannot predict when life will take us to task, yet being prepared for whatever comes ones way is one of the best survival methods. This is also true when a car wreck happens. The day before may be best days of your life, and next one the worst. Often times processing car accidents takes time physically when pain and suffering screams out from parts of anatomy unrecognized until hurt. Or when your mind is back to previous day before car collision and wants to function normally, yet on this day, it's no longer possible. Dysfunctional while scrambling to figure out what's up and down, a new set of problems come into play. Support and advocacy by those who promised to protect and assist act more as an adversary than those providing assistance. A lost sinking feeling may prevail when realizing you have become their target instead of customer. What can you do when a target? Decide to be a fast learner. Choose to believe in you and design a mission to get through the struggles facing. What kind of attacks will come? First, realized you've been profiled and tracked in hopes of providing information that will help the case of Insurance Companies, Employers, Long-Term Disability, or Social Security Disability, not pay Insured Claims. Theses organizations have been at this for years or decades, while people in car wrecks tend to start out clueless. This is O.K. Everyone must start from somewhere. What is critical to keep in mind are insurer agendas placed in your path. Buckling under their pressure will create an opening to hurt claim and personal quality of life. Often Social Security, Employer or Insurance strategies may get intense in order to eliminate claims. Therefore, do not follow their direction, only your own. Create your own intensity by sharing what they have done to you, how you've been harmed, and by deciding not to give up regardless of the physical, emotional, of financial abuse they often inflict. 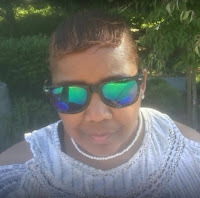 When you develop your own strategy to endure bullying practices and decide to come up with ideas how to get through hurdles, you will make it through whatever is thrown your way. Trust and believe in you. Makes it clear in your own mind that fighting and advocating for self makes a difference in refusing to be bullied. Strangers are constantly coming up to you and asking personal questions. Whenever in public, you are being followed. You are seeing the same people over and over again. You are seeing the same license plates every day. Public harassment and intimidation begin. You vehicles has been opened after being locked. 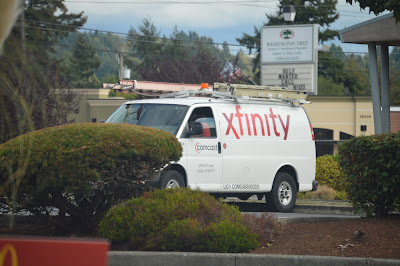 Surveillance Equipment is often jammed by harassers not wanting to be seen. The locks on your residence doesn't keep them out. Law Enforcement begins to harass and intimidate. Suddenly you receive financial notices. You are being followed into Doctor's Offices. Vehicles are passing your residence every 30 minutes. New people are in the neighborhood, walking pass residence. Reckless drivers almost cause collisions, or do cause collisions. Laptop, Cellphone, and Television face constant hacking. This is a long, long, list of tactics faced when a target. This is why you must make the decision to do what is in your best interest. Advocate for self. Their numbers may be large, but you will always be able to choose a course of action that provides healing, support, and advocacy for your goals. Stay on track with a purpose and fight against being bullied with a vengeance. 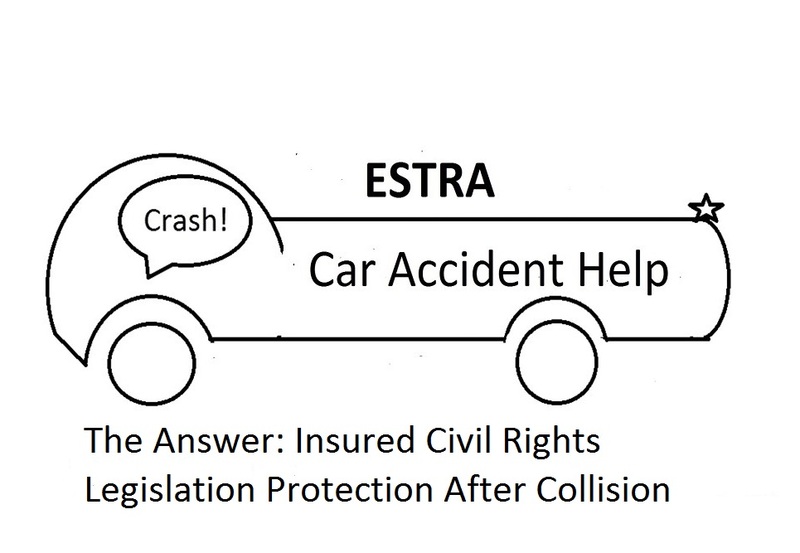 Seattle (ESTRA) - Car Accident help with Auto Insurance Claims places you once again in the driver's seat. Why? Knowing what to expect, knowing your responsibilities, and the Insurers means keeping track of everyone's actions. 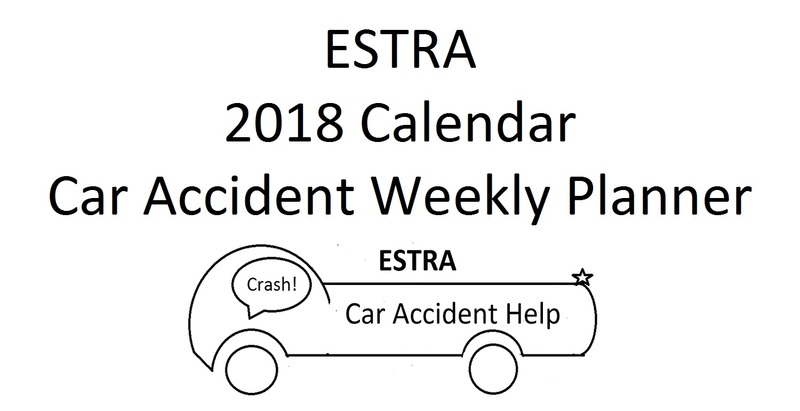 ESTRA 2018 Car Accident Weekly Planner is design for people involved in a car wreck. In order to protect and advocate for your interest, it's important to know how the Insurance Industry works and their sphere of influence. This means gaining understanding about the process and its impact on daily living, finances, recovery, insurer protocol, and how Insurance Companies will influence Claim Processing. Their expectations are not necessary what is written in Insurance Contracts, therefore, it's important to become very knowledgeable about what is contain in Insurance Policy. Most people involved in car wrecks tend to have less energy and often don't think at your normal pace. It's easier to take advantage of someone in this condition, and many insured would prefer to lean on an Insurance Company or Employer when not feeling well. However, this is a big mistake. Hence, take your time. Be as slow as necessary to gain understanding about the entire process. In the end this will get you closer to being treated fairly and reasonable settlement. 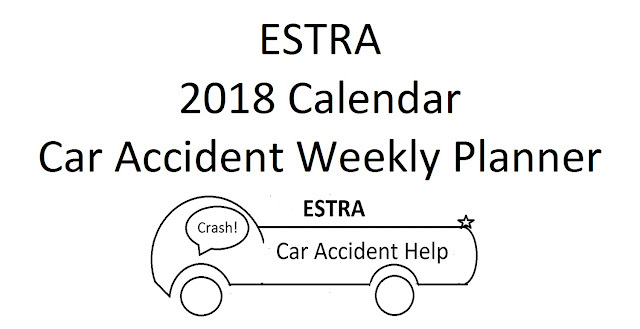 ESTRA 2018 Car Accident Weekly Planner stores the information in one place for future use. It will help to see patterns and make plans for objectives. Helps build confidence, courage, and strategy for dealing with your car wreck. A place for Medical Charting. Documentation on what happened at collision and afterwards. Helps with Scheduling a Financial Budget. Tracking Personal Injury, Auto Insurance Claims, Disability Claims, Social Security, and ERISA information. * Have a favorite standard color? Add it into comment section and have your calendar personalized for free! Also available as support gifts are Mugs! Peace, joy, love, and comfort is found by being you. Seattle (ESTRA) - Is it possible to be happy through the holidays? Or is there far too many things life holds from the past or current issues to make being happy a viable option? Happiness through Holidays means taking time to think on things which are unpleasant. Understanding ourselves and how we interact with problems provides insight on choosing how we shall interact in these situations. Whether ignored unresolved issues or allowing others to push our buttons. What do I say to them? Take action which is in your best interest to remain calm and peaceful. This includes Insurer or Disability Surveillance which often targets Insured during the Holiday Season. Sound strange to you? Insurer Harassers try hard to bring Insured down at weakest times. However, my challenge to you is being stronger when toughest times come your way. In fact, I believe internal determination and perseverance gets you through troubles unforeseen or right before your eyes. Happiness through the holidays means having a good perspective. At the beginning of season make choice to celebrate each event attending. A good idea is spending first couple weeks prior to socializing recognizing what buttons self, family, friends, and co-workers like to push in order to place you in a zone which creates unhappiness or brings up traumatic memories. A. Wounds can heal or be placed in what I like to call the Recovery Room. In order to do this, we must be willing to take a good look at what is troubling, what it’s about, why it’s festering, and what can be done about this issue. The death of anyone special often times causes grief. When I think on grief, I believe this is about missing love one cared about who is gone. Often time this grief can take years to dissipate into comforting memories in ways that brings a smile. Frankly, this type of wound often is placed in the Recovery Room. Why? A layered approach to healing process occurs. This is a touchy topic and doesn’t take much to bring out the pain. Therefore, decide what will said about lost love one before asked. For example, someone may say, “How is so and so?” It’s ok to say something like, I really miss them since they are gone, but I’m doing my best to keep moving forward, so maybe in a few years I will be ready to talk about this, do you mind if we talk about another subject? Most people understand about a sensitive subject. Yet, bullies or mean spirited people will continue to bring up the topic until they can get a rise out of you. When dealing with these types of people, move somewhere else, repeat that you do not wish to talk about it, until they stop, or remind them of their own wounded spots if persist, and then move on. Sometimes it’s hard to get away from people who are jealous, hurting themselves and want to take it out on someone whom they think will take their bad behaviors. The key to remember is that you are free. Whether regardless of age being abused by others is not acceptable. Therefore, be empowered to stand up for yourself against abuse, especially Insurer Abuses. You deserve to be happy through the holidays even while dealing with things that are currently wounding or in the past. Does this mean you can easily forget trauma, such as a car collision? Absolutely not. What it means is that you can be measured in responses to self and other people. Hope can still be a part of life during suffering. And you can choose to expose as much of yourself as desired during the holiday season. What can peace, comfort, and joy at holidays bring you? Often a smile, occasionally laughter, or pleasant memory. We are often amazed by telling a story about something that makes you and others remember happy times. 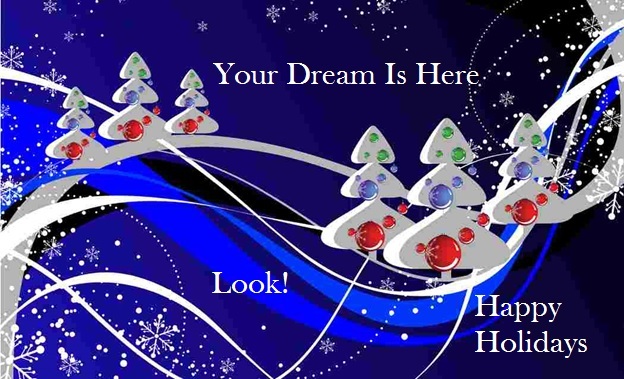 The joy of the holiday season doesn’t mean forgetting what is happening in life, it means being grateful for still being here on earth with a purpose to continue on, regardless of the obstacles which are coming your way. There is peace and hope. There are people around you who wish to be supportive and caring when facing hard times. B. Write a list of the top 10 questions you wished no one would ask you and decide before any Holiday Event how to respond to them. When anyone asked these questions, prep work will have already been done. Remember you always have a choice just to say, none of your business! And proceed to another topic. By the way, it always good to have 5 topics to discuss with anyone, anywhere, that are general and light hearted. My favorites are recent movies, plays, concerts, television shows such as Scandal. This will allow a connection on general topics and not too personal. Laughter lifts human spirits. Use the holidays to be happy. Not in a fraudulent way, but sincere. It will encourage those around you, provide something new to talk about next year with a happy reunion if the Lord says the same. Often we take this world for granted, thinking every day will be the same, but sometimes this is not true. Therefore, take the time to appreciate being on earth while here, have goodwill towards men and women that improves the journey for all of us. If you have recently been involved in a car wreck, remember to take it easy, share in the work and don’t try to do everything while recovering. Why so many angry People? When life takes a wrong turn anger often follows. 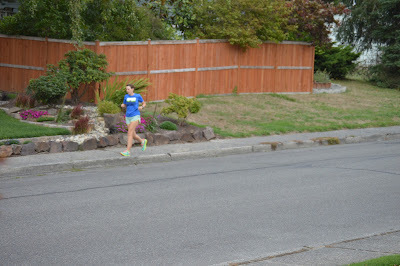 Seattle (ESTRA) - Each and every day on the news we hear people being hurt. We also see car collisions on freeway and public streets. Yet this is typically where things ends. We don’t hear much about the suffering that goes along with the trauma. What goes along with this pain and suffering? Anger. Often people display anger from broken promises and shattered dreams. The loss of support promised by Insurance Companies, Employer ERISA Benefits, Social Security denials and surveillance, and police who are here to protect and serve siding with those who are actually hurting citizens instead of helping. Why are there so many angry people? It’s due to those who should be doing the right things by them, doing the wrong things for profit and greed, leaving many people homeless, hungry, and without the medical care and concern needed to improve their lives. Their families go without and also experience a quality of life that provides downward mobility instead of up. How angry would you be when these things happen to you? 1. Why are there so many angry people today? Disappointment in those people we once believed in. Auto Insurance Companies, Employers, Social Security Disability, Law Enforcement. 2. Where has resentment come from? Protections are longer there. The average person use to be able to believe in what they are told. That most people’s word was their bond, especially corporations worked for, but as companies felt no obligations for their employees, this bond has evaporated, and it’s become every person for themselves. 3. What can you do about your anger? Recognize that anger disrupts your way of thinking. When this happens the best tools that you have are blocked. Remaining calm and focused is one of the best things you can do, and come up with a plan that is in your best interest. Never give up on yourself. Often times we have no control on what others do when they make decisions whether to do what was promised. Let them know you realize how they have treated you and it’s wrong. Continue to do the best you can under current circumstances. 4. 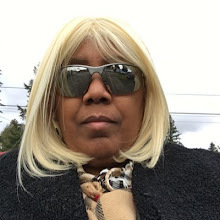 Concentrate on how you can make your life better in spite of facing harassment, intimidation, bullying, disability, abuses, loss of financial status, and the way in which you hold on to dreams. Dreams change, or can remain same, only developed in different ways. As long as you do not give up or in to struggles, you can and will find a path which makes you whole again, regardless of whether Insurers do the wrong things regarding your claims. 5. Let the anger go. Yet keep your dreams alive. It matters. You matter. The key is to remember, you will always be your best advocate. Believe this. Then decide to use the energy from the abuse suffered and turn it into something so special, life turns out to be awesome; you couldn’t have imagined it without the struggles which will get you there! 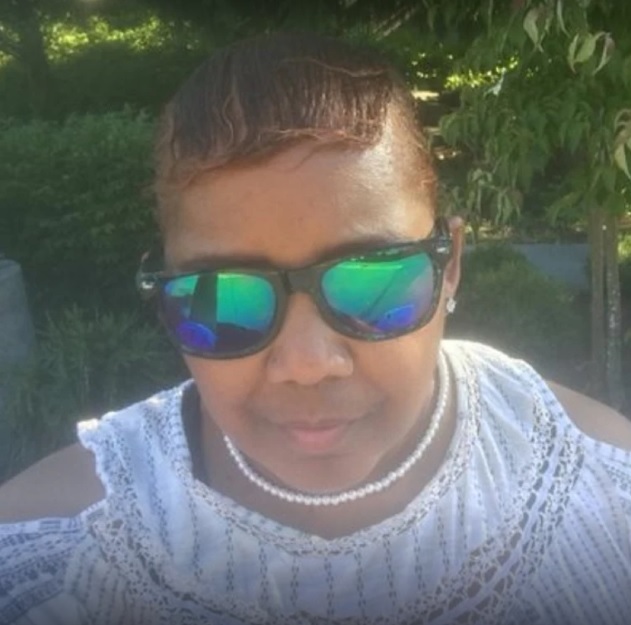 Join me on Saturday for Talking About You with ESTRA Radio Podcast. 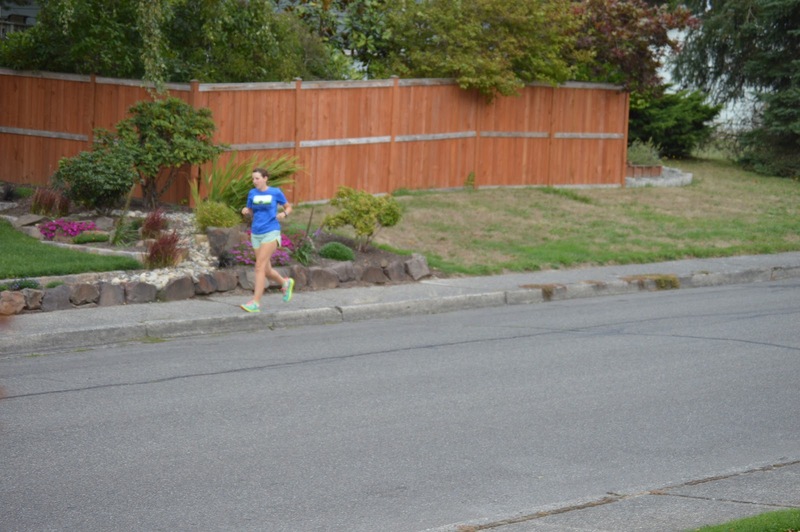 Seattle (ESTRA) – The one characteristic developed after a car wreck is courage. Courage is used in healing and learning how to adapt to a disability. Courage is used when times get tough in tough living circumstances. Courage evolves when dealing with Insurance Claims Process from Auto, Employer ERSIA, Social Security Disability, and Medical Claims. Courage is also developed when dealing with supporters of Insurers, such as Police, Providers, Local Small Business, and perhaps front businesses used by any of these companies. A new found courage will help with survival of deviant behavior unknown or experienced by average people. For example, Insurance Harassment happens whenever out in public, which is often exerted psychologically. Most individuals are taught to act with levels of class in public, therefore running into opposite behaviors can take a while to adjust and determine how to deal with intimidation, such as taking all close parking spots when walking is difficult or making lines as long as possible when standing is hard, or working with banks to keep items coming through accounts when close to zeroing out balance, so 10 cents overdrafts can cause you $30-$40, and rounding out daily bullying by getting into personal space, in hopes of you becoming so uncomfortable, objectives are avoided. If they are not harassing in public, they are hacking online. Police can assist them in causing mobile phone dysfunctions, which can slow down your activities, or make certain functions not work. This is done typically through Bluetooth or WiFi which in my opinion are two of the most unsafe methods of internet access. These actions are through Browsers, Internet or Mobile Providers, such as @Apple @Sprint, @Frontier, @Verizon, all of which Hackers continue getting into like revolving doors in attempts to cause havoc during online activities. Many options provided to customers in my opinion, is not for benefit of customers, but to corporation for tracking purposes. Therefore use caution when turning your value information over whether free or paid. In some cases companies have developed a maze, and we have to use it or fall behind in learning the technology and social media. Day 2 Thought of Day: When Police, Insurer Hackers, Insurance Harassment occurs, keep your wits about you because loosing it gives them what they want, a better opportunity of eliminating normalizing day. Keep moving forward and use patience to get there. Know bullies gonna bully, and haters gonna hate. Yet you are going to keep head to sky and keep moving towards goals. That's what Day 2 is all about, not falling prey to Insurer Harassment! Now use YOUR Courage! Seattle (ESTRA) – October Car Accident Awareness Month Theme is Insured Civil Rights. Why choose Insured Civil Rights? People are injured in car wrecks every day and seeking the help and support promised by their Insurers. Months of worry and concern may follow. Will Insurance Company pay up? Will Employers hold job? Is it possible to get by month to month when this was a challenge while working? People in car accidents don’t need additional stress. Most need a safety net, security, time to heal and recover. Extra worries creates delayed recovery, an unsettled mind, and questions which add what’s next rather than provide relief while injured. 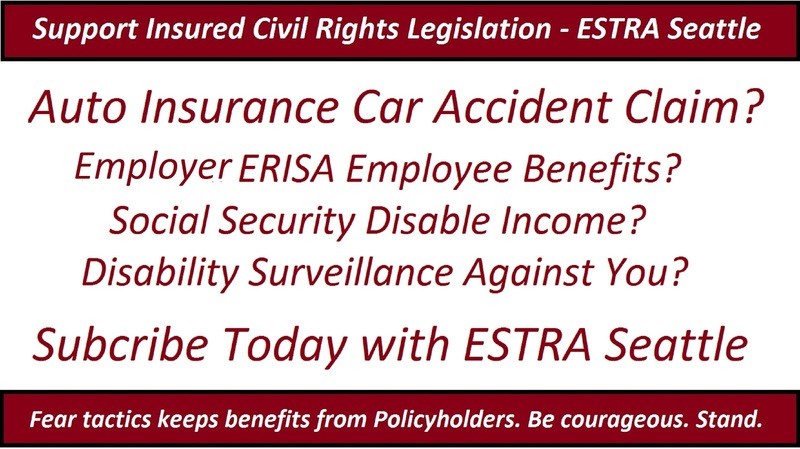 Insured Civil Rights Legislation provides structure designed to protect those with Insurance Policies with Auto Insurance, Employer ERISA, LTD, STD, Social Security Disability, or other Insurers of profit or non-profit corporations. · Level the playing field Insurance Companies have with one of Insured. · Congress supports Insurance Industry, Lobbyist, not you as priority. 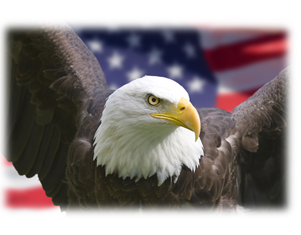 · Injured can wait up to ten years for a settlement that’s unfair. · Legislation will reduced the number of Injured living in poverty. · Deter delays, denials, and intimidation to eliminate legitimate Personal Injury Claims. · Eliminate Auto Insurance policies with clauses which negatively impact their client’s ability to receive settlements. Insured Civil Rights is defined as the ability of insured to be protected from lengthy delays, denials, or extensive court trials used to cause serious harm to reduce fair settlements and intimidate people injured in Car Accidents. The goal is to provide the assistance policyholder require before incurring significant losses. Hurricane Harvey, Irma, Jose, Maria changed the lives of millions. The unexpected happens exactly the same way with Car Accidents. When Insurers won’t pay benefits, employment comes to an end or injury last more than a year, what will your world look like? Have time, energy, or motivation to make a real change in the lives of people involved in car collisions? 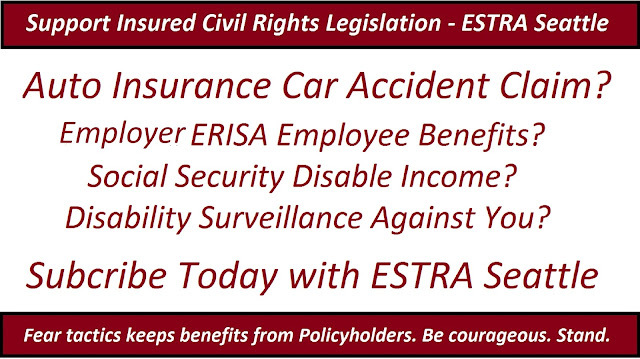 Participate in helping build Insured Civil Rights Legislation in your State a reality. How can you do this? Join me in developing this Bill and support people suffering right now after personal injury. It’s important for us to be able to count on each other. Sign up to help at https://www.estracarwreckhelp.com Membership is free! And your commitment invaluable! Let’s get this done. It matters for all of us. 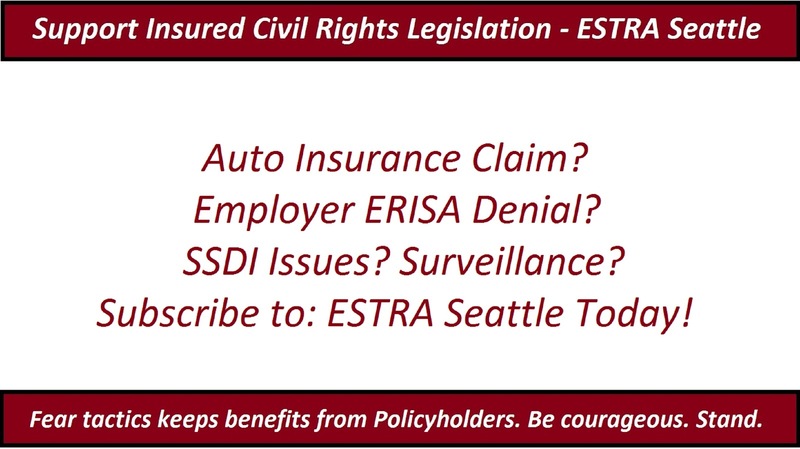 Seattle (ESTRA) -Everyday millions of people contact their Insurance Companies to file Auto Accidents, Medical, Disability, or Long-Term Care. Many of these individuals have paid into these companies for decades. In their minds, this is a safety net in case needing help. But is this true? Will these Insurers be there in direr time of requiring support? Fortunately, some will be there for you. However it’s the Insurance Companies who won’t pay that may be the one that takes down your household. When contacting Insurer, do they immediately attempt to discourage you from filing a claim? Do they use words such as, “We will be the ones who determine if your claim is paid.” Sense you are already getting the run around? Insurer says, “We will send you out a claim application” rather than directing to their online site where you can access the information immediately? Another indication of their interest in dealing fairly is level of questioning. Did you feel you had done something wrong in calling them and asking for help? Did they make you feel situation is your fault? These are all signs of a greedy Insurance Company, and you may fall victim to their tactics not to pay your claim. Yes it’s hard to believe a company you trust in fact placed your life in their hands at vulnerable times would take advantage of you. Sadly, often Insurance Commissioners in many States do little to support needs of Insured. Their hands are often tied by the power and money Insurance Companies currently have in this and most other countries. Some Insurers hold money so tightly regardless of promise made after paying Insurance Premiums in case of unexpected emergencies, insured are squeezed and pressured so firmly many loose hope in getting Insurance Benefits. Instead of being shattered by Insurance Greed and placed in a compromising position, choose instead to fight back. Shaming Insured is one viable method used by Insurers to keep hurting people quiet. Many families lose all they have in their attempts to stay afloat. Make a difference choice: speak up and speak out. Don’t see these companies as “all powerful” because they are not unless you allow them to be in your mind. Remember it is your resources which allowed them to become who they are today. You have no reason to feel ashamed. Stand up and file Insurance Claim. What can you expect them to do? If Insurer has integrity, claim will be evaluated honestly. They will share their findings with you and expedite claim so they aid in eliminating suffering, not increasing troubles. If they are indeed there to help and protect your interest, their actions will reflect this to be true. Check online complaints about how they treat policyholders. Do they have a reputation of not paying Policyholders filing claims? Move to another Insurance Company known for taking care of their Insured. Why pay Insurance Company that cares nothing about your troubles? How can we do something about this as millions of Insured? 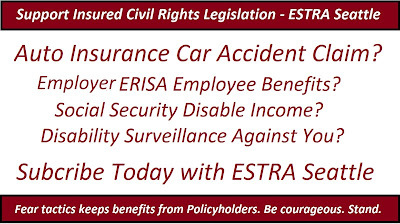 We can support Insured Civil Rights Legislation which equalizes the power currently exploited by some Insurance Companies. In other words, this legislation will put in place laws which protect you from unfair practices of Insurance Companies. Can Insurers be objective when the money giving out is cash they want to keep? Why are there currently so many laws working on their behalf? The vast money spent by Insurance Lobbyist for Congress. We’ve got to get fair and just legislation that is not so one sided against individuals filing Auto Insurance Claims. Are you ready to help change injustice far too many people face when filing Insurance Claims? Start by simply signing up to help get Insured Civil Rights Legislation passed, and change current laws for better protections you, family, neighbor, and community members dealing with Insurance Claims can expect. The bullying by Insurance Companies has to stop. The shaming tactics has to stop. We are the only ones who can do this by standing up. Join the fight for change today. No one needs more sorrow at times of suffering.